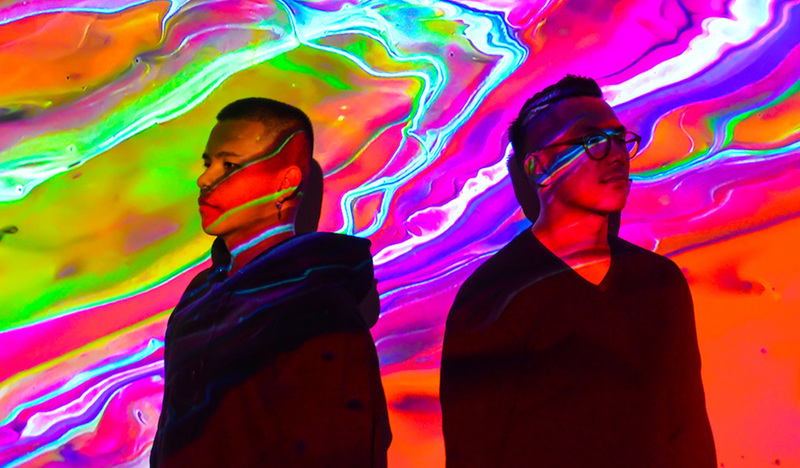 The brains behind Midnight Pool Party are Sydney locals Morilla and Oliver Dela Cruz, and over the last few years they have been crafting addictive electronic dance music that is infused with a rich palette of dance, electro, r&b and hip-hop influences. Since their beginnings Midnight Pool Party have evolved from their “classic-disco” sound & style into a mature electro/dance/house realm. As their songwriting & production began moving in this direction, Morilla also started experimented with his vocal styles and lyrics, and along the way discovered what he felt was a more natural-feeling sound as he drew his influence from the likes of Drake, Pharrel Williams and Anderson Paak. Without losing the true Midnight Pool Party essence, they continue to bring an infectious groove to everything they create using an assortment of lush-sounding synths, smooth thumping bass-lines, playful key-noodling and strong infectious vocal-hooks. In 2017 they released their debut ep ‘Dalliance’ which received praise and attention from old & new fans all over the world. With key singles ‘Waiting’, ‘Vulnerable’ and ‘Collide’ collecting over 2 million combined streams on Spotify alone, Morilla & Oliver were left feeling utterly proud of everything they had accomplished, so they jumped straight back into the studio and started working on some all-new ideas. Those ideas saw the boys exploring a more flirtatious, playful sound, and general overall vibe. They really wanted to push themselves into experimenting with different styles and genres, just to see what sort of sounds they could create, and they were very happy with some of these new creations. They also decided they were ready to write, produce & mix everything themselves and are now making plans for the release of their second ep, ‘MOTIONS’.